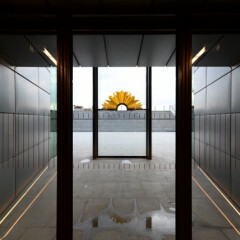 Sabbia Gallery artist Lisa Cahill has just returned home to Australia after installing the ‘Rising Sun’ Sculpture. 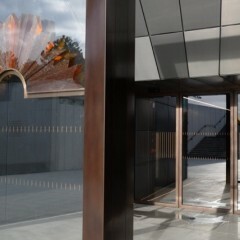 It was launched at the Sir John Monash Centre at the Australian War Memorial in Villers-Bretonneux France on Anzac Day. 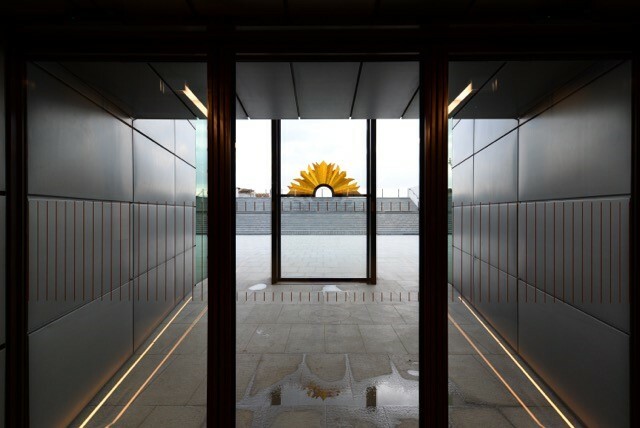 Tim Williams (one of the Architects of the building) took some lovely images (as shown) of this major glass commission in the morning light. 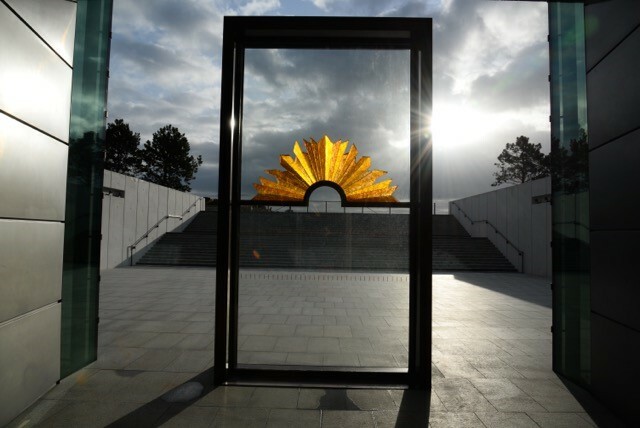 Canberra Glassworks and the Department of Veterans’ Affairs (DVA) commissioned artist Lisa Cahill to make a public artwork to represent the ‘Rising Sun’ emblem inspired by the original interpretation of the ANZAC badge by Sir Edwin Lutyens. This artwork weighed 160 kilos and was made in glass and installed in the Sir John Monash Centre (SJMC), Australian War Memorial in Villers-Bretonneux, France. Being a distinctly Australian centre, the SJMC is also an opportunity to showcase Australian skills in a range of crafts and materials. 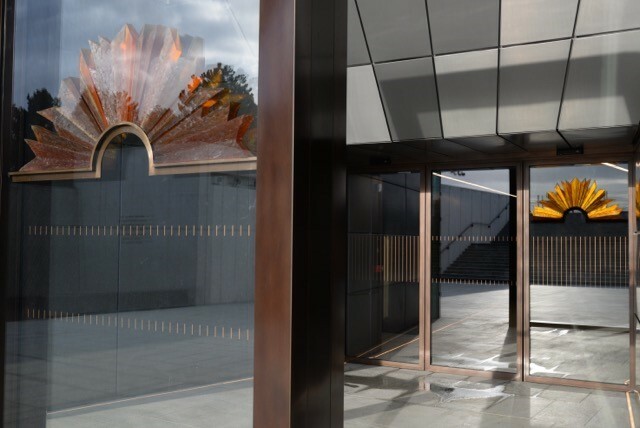 As well as the distinctly Australian timbers being used through this legacy centre, the Rising Sun artwork will be a permanent fixture for current and future generations. “I feel so privileged to have worked on this project. The centre is a very beautifully conceived and executed place to learn more about Australia’s history before the war, why we went to war and how going to war changed the Australian psyche. I feel so honoured to have been chosen to create an artwork that pays tribute to the 300,000 Australians that served on the western front between 1916 to 1918 and honour the 46,000 that lost their lives,” says Lisa.